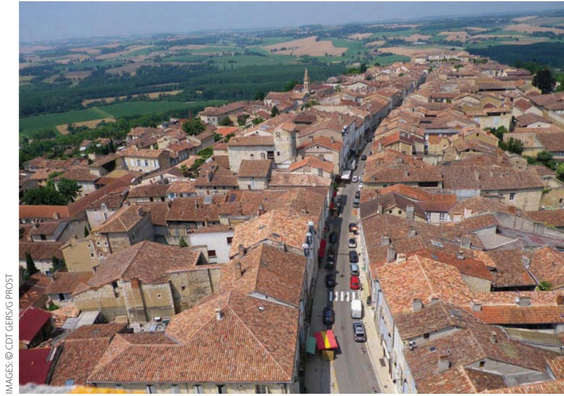 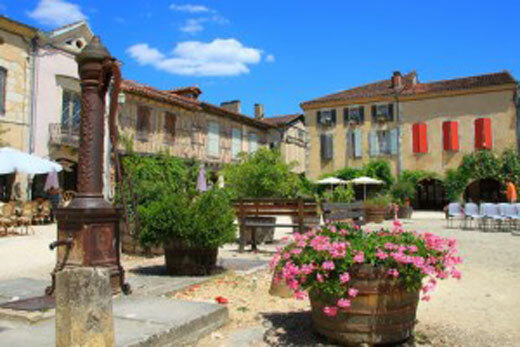 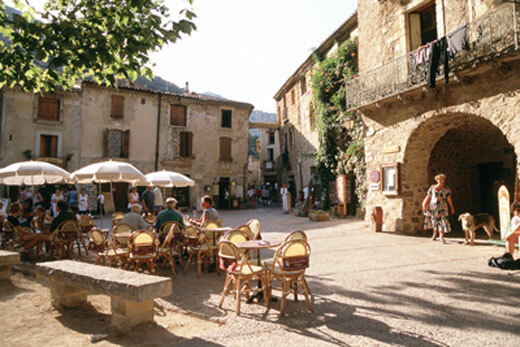 Occitanie (Occitania) is the official name of one of the new regions of France which was formed by merging the two former administrative regions of Languedoc-Roussillon and Midi-Pyrénées, during the restructuring of France’s regions in January 2016. 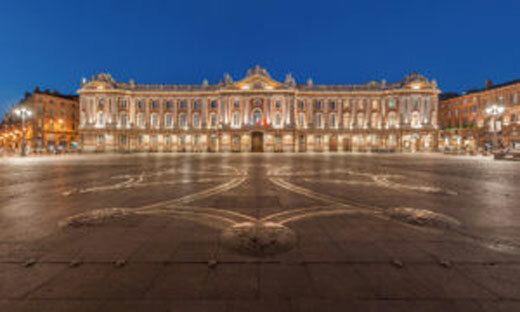 The regional capital is Toulouse. 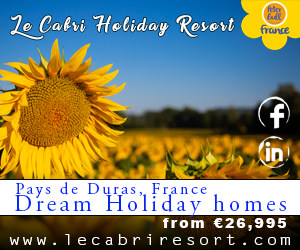 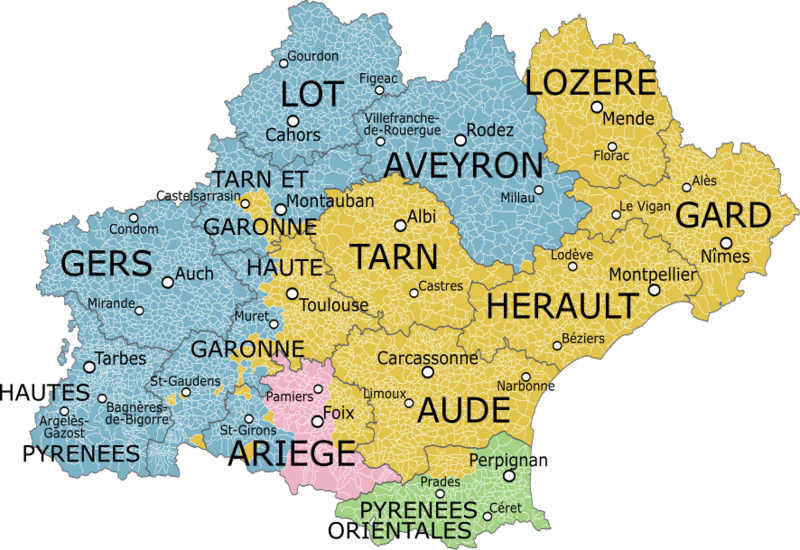 It is made up of the following thirteen departments: Ariège (09), Aude (11), Aveyron (12), Gard (30), Gers (32), Haute-Garonne (31), Hautes-Pyrénées (65), Hérault (34), Lot (46), Lozère (48), Pyrénées-Orientales (66), Tarn (81), and Tarn-et-Garonne (82).